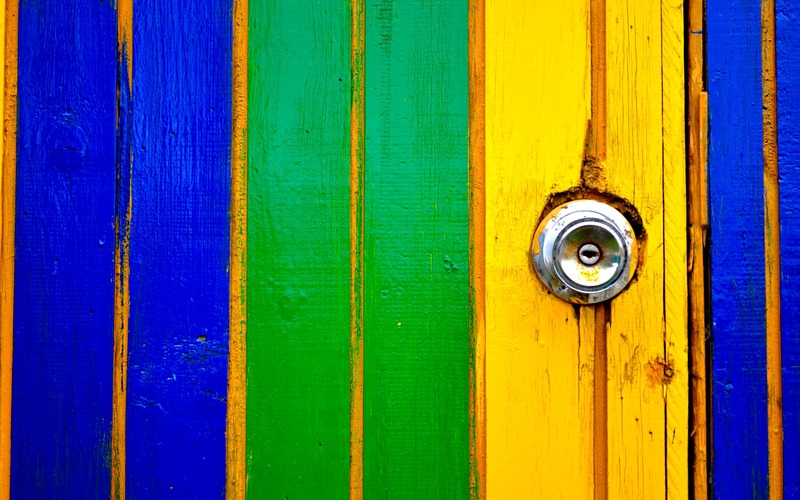 It’s more than just about bright colors and lights. 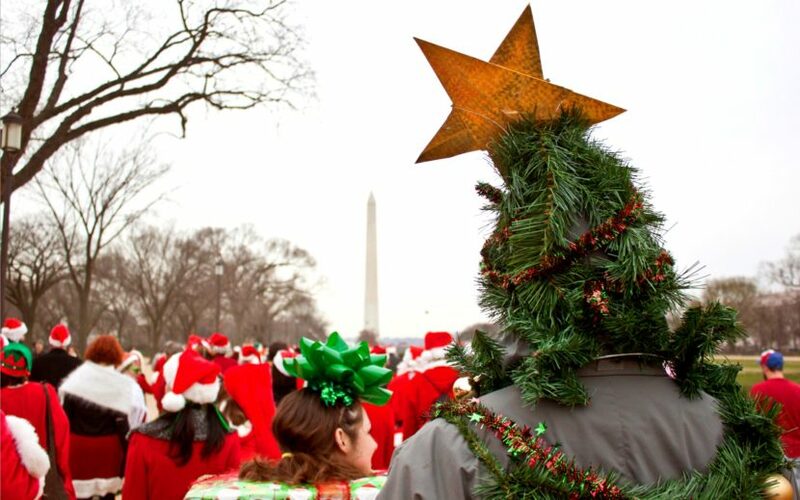 There is something magical about a yearly occasion that summons fond childhood memories — and makes us eager to honor its traditions as adults. Diwali, a celebration of the Hindu New Year, holds special meaning for Mash-Up Nishta Mehra, an Indian-American who embraces the holiday’s display of exuberance as much as she does its cultural significance and symbolic meaning. Deepen your understanding of Diwali by reading her guide to the reasons why she loves the Festival of Lights — it’s dazzling. If Thanksgiving wins my secular holiday bracket, Diwali is hands down my favorite holiday of them all. (That’s saying something for a Hindu girl who attended an Episcopal school in Tennessee and now teaches at a Jewish one in Texas.) Diwali, also known as the Festival of Lights, typically falls between mid-October and mid-November and always seems to come at the right time each year — just when I need some uplifting news, an internal renewal, a burst of spiritual fortification (I guess that Lunar calendar is onto something!). There were no cultural expectations surrounding Diwali when I was growing up in Memphis — one of the benefits of being a first-generation Indian American kid in a place with very little visible religious diversity. Because most everyone around us had no idea what the heck Diwali was, let alone what it meant to celebrate it, my family was free to build its own traditions and observances, which has made the holiday intimate and deeply personal for me. Like my immigrant parents before me, I too have been able to make Diwali my own for my family. So, without further ado, here’s my list of the seven reasons why I love Diwali. 1. Diwali is a time to begin anew. Diwali, which celebrates good over evil, marks the start of the Hindu New Year: we clean our homes, decorate our mantel with fresh flower garlands and set our intentions for the months to come. The main festival night occurs on the darkest night of the Hindu month of Amavasya, or the night before the new moon — it adds a layer of hopefulness and is a reminder that the moon always returns, and that we, like the natural world, will cycle through seasons and be given the chance to start over and re-set ourselves each year. 2. Diwali is loud, colorful and joyous. Bright colors are key to the festival. As a kid, Diwali meant stringing lights through the greenery of our yard and around the front door; rushing home from school to change into my new Indian outfit; and sitting with my parents for puja (worship) in our prayer room. It meant the smell of incense, the taste of clove-tinged water and the warmth of candles throughout the house. A giant Diwali party was held each year at my Chanchala Aunty’s house, where we kids sat through religious lessons and listened to stories from the uncles, before we all feasted on the giant spread and set off fireworks in the backyard. Sensory expression: it’s what we brown people do best. 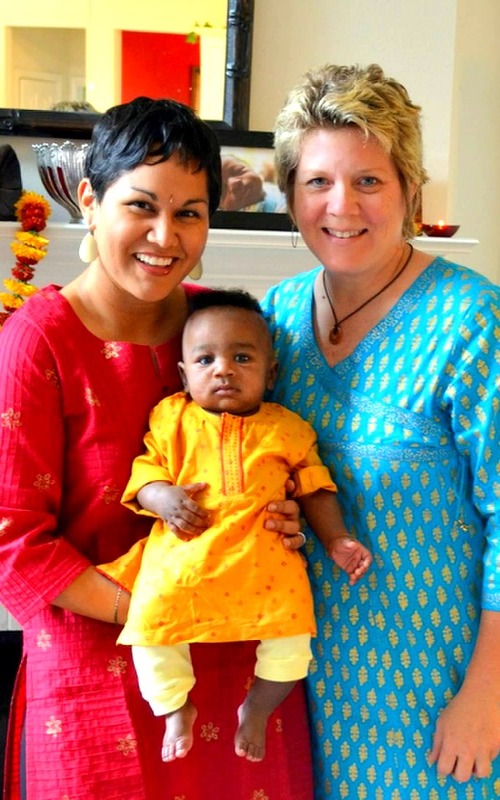 The author, left, with partner Jill, and their son, Shiv, in 2012. OK, maybe celebrating with insane amounts of food is what we brown people actually do best. Diwali is an occasion to go ALL OUT with rich, decadent dishes — fussy, complicated, labor-intensive ones such as potatoes stuffed with paneer in tomato gravy, fragrant biryani studded with cashews, and gujiya, fried empanada-like pastries filled with a sweet, nut-based filling. Growing up, my mom would cook our Diwali feast in stages, including my favorite vegetarian dishes like saag paneer and daal makhani — dishes I now prepare myself. And no skimping on dessert! This is especially important on Diwali, when the idea is to ring in a sweet new year with a sweet bite, just like apples and honey on Rosh Hashanah. One of my favorite — and not too fussy — Indian desserts is kheer, a creamy rice pudding usually flavored with rose water and topped with nuts. 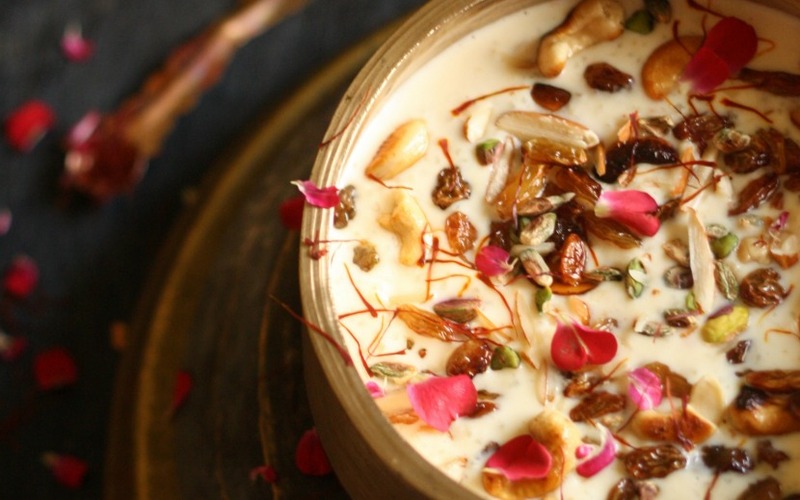 Here is a recipe for Nishta’s old-school version of kheer. 4. Diwali is rich with stories. 5. Diwali’s message about good over evil is timeless. Hindu texts refer to Ravana as a scholar whose arrogance, pride and ego transformed him into a demon (he is commonly depicted with 10 heads to represent a broad knowledge that manifested in aggression). The message behind this myth — that the possibility of evil is located deep inside each one of us — is a powerful truth to be reminded of. 6. Diwali is not only celebrated by Hindus. The festival is also a sacred occasion for Jains and Sikhs. In Jainism, the holiday marks the attainment of moksha (or release from the cycle of samsara — meaning life, death, and rebirth) by its founder, Mahavira, who preached nonviolence and compassion. In Sikhism, Diwali coincides with Bandhi Chhorh Divas, or “Day of Liberation,” in which the Sixth Guru was released from prison and returned to Amritsar — Sikhism’s holiest city — on the day of Diwali. The city was lit with thousands of lamps to welcome the Guru home. Because Diwali has such a strong cultural significance in India, many Buddhist, Christian, and even secular Indians observe the holiday, which means, of course, that Indian immigrants of all faiths or even no faith can spread the tradition of Diwali with them wherever they go. 7. Diwali, ultimately, is about triumph. While most of us won’t fight physical demons in this lifetime, we will fight internal ones; we will despair in the darkness of our circumstances but try and see the light. 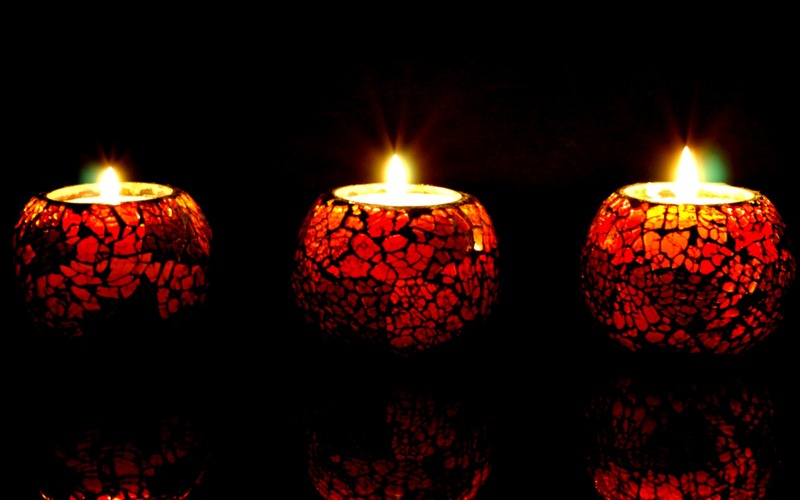 In the wake of my father’s death nine years ago, I threw my very first Diwali party. By the time my partner, Jill, was on the road to recovery from cancer treatment four years ago, Diwali had become an annual tradition in our household. Through my observance of the holiday, I seek to honor my father’s spirit and to take time to acknowledge the loved ones in my life— and I do my best to throw a party my dad would have loved to attend! Buddha said, “Make of yourself a light.” That we can do this — that humans are possessed with the power of love, goodness and compassion — is a triumph we should never forget. Read about these New Year traditions in other cultures!